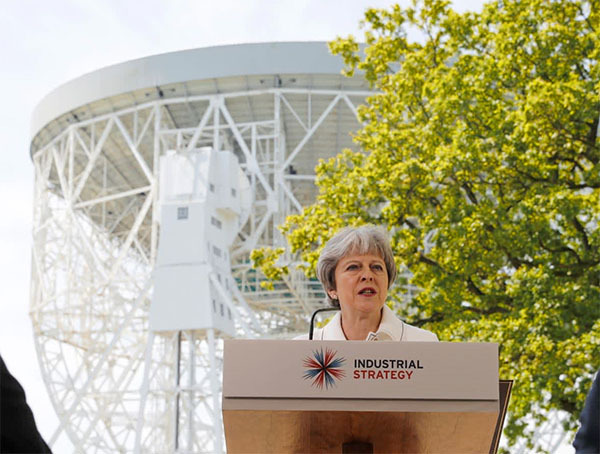 In a speech at Jodrell Bank, Prime Minister Theresa May outlined her government's Industrial Strategy and set out a range of so-called Grand Challenge Missions . The missions aim to bring together government, businesses and organisations across the to develop 'industries of the future'. Heating and powering buildings accounts for 40% of our total energy usage in the UK. By making our buildings more energy efficient and embracing smart technologies, we can cut household energy bills, reduce demand for energy, and boost economic growth while meeting our targets for carbon reduction. For homes this will mean halving the total use of energy compared to today’s standards for new build. This will include a building’s use of energy for heating and cooling and appliances, but not transport. The mission also includes a target to reduce the cost of low energy retrofits of existing stock (for example Energiesprong approaches I've already written about), but in this article I'll be taking a look at what it means for new buildings. There's some key phrases in the above announcement, with far-reaching implications. Up until now, the energy performance of new homes for Building Regulations has been assessed in terms of carbon dioxide emissions rather than energy. The argument for this has been persuasive - that there are UK carbon budgets to aim for and policies should be directly targeted towards achieving this. However, as grid electricity has decarbonised rapidly, it has created a significant challenge for this approach. With very low carbon electricity, it would be possible to meet regulations for low carbon emissions in buildings simply by heating electrically and doing the bare minimum on energy efficiency. Clearly, adding many new buildings of low energy efficiency this would make the task of maintaining a low carbon grid that much more difficult. Secondly, and increasingly, the time of day that you take off electricity from the grid affects the carbon intensity (and price) of your energy. Smart technologies are available that control energy use that has flexibility in its timing (technologies such as heating, running a washing machine, cycling a fridge freezer, charging an electric vehicle or discharging a domestic battery). Though consumers are likely to favour technologies that lower their energy costs, periods of low wholesale energy prices tend to coincide with periods of low demand and therefore a high proportion of renewable energy input. So these technologies will reduce carbon emissions and bills. Regulations will struggle to keep up with the complexity and innovation as this sector develops. Using an average grid carbon intensity will fail to incentivise or account for these valuable approaches. As an 'energy consuming product' it makes far more sense for regulations for buildings to move to energy consumption rather than carbon emissions . Of course, the lower the energy consumption, the less energy is needed and the easier it will be to lower carbon emissions in the electricity supply. Yet to be determined is what measure of energy we're talking about. If it is straightforward energy use, then one kilowatt hour (kWh) of gas burned to heat the house will count the same as a kWh of electricity taken from the grid. If, instead, it is Primary Energy (which takes into account conversion efficiencies from the original fuel), then electricity use will count more highly than gas. Progress on carbon emissions is often measured against 1990 levels - the base year for Annex I parties to the Kyoto Protocol, the countries that signed up in 1997. 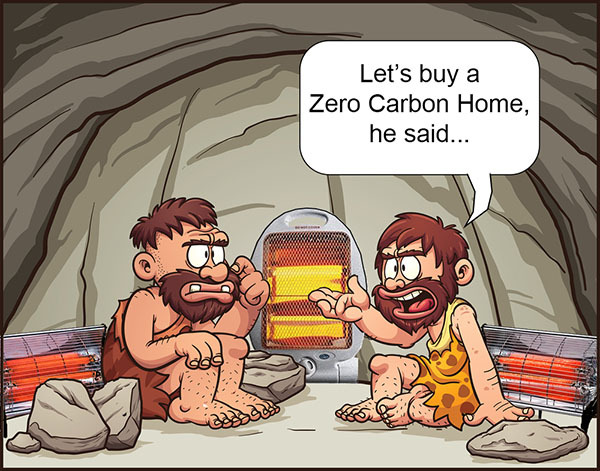 The UK Zero Carbon Homes policy was enacted in 2007, and progress on energy efficiency standards for buildings has been measured relative to a building constructed to 2006 building regulations. Improvements in energy efficiency of new build homes has been less than impressive. In the 12 years since 2006, the regulated carbon emissions from a new home built in England is only 29% lower than a house built in 2006. Scotland has pushed further forward, homes built here achieve carbon emissions levels 45% better than 2006. Significantly, the comparison will be relative to today's performance levels. Progress to date will not count towards the mission. Until now, Building Regulations have only including 'regulated' energy - that used for heating, hot water, pumps fans and fixed lighting. In homes the regulations ignore energy used for cooking, fridges, freezers, washing machines, dishwashers, clothes dryers, audio visual equipment, IT equipment, plug in lighting and charging battery powered devices. Housebuilders argue that they shouldn’t be held responsible for the electrical equipment that people use in the homes they build, and the government has up until now accepted that argument. But why stop there? Surely housebuilders cannot be held responsible for how often people choose to take a shower, or the fact that they don't want to wear thermals and down jackets while they're watching TV. The precedent of taking an average for domestic hot water use and internal temperature is well accepted, so there's no reason why we shouldn’t regulate based on an average electricity use for appliances and gadgets too. The Solar Trade Association has commissioned analysis by Think Three Consultancy on the future direction for building regulations in a world of low-carbon electricity. The report used SAP 9.92 with new SAP 10 carbon emissions factors to model the energy use a number of house types with a variety of combinations of heating technologies and fabric performance. The 3-bedroom, 94m2 end terrace house modelled in the report, has been used to assess potential approaches towards reducing energy by 50% from today’s performance. For a home like this built to current regulations in England, space heating and hot water are the dominant energy uses. However, the total of regulated and unregulated electricity use for appliances, lighting, pumps and fans represents 41% of energy use. 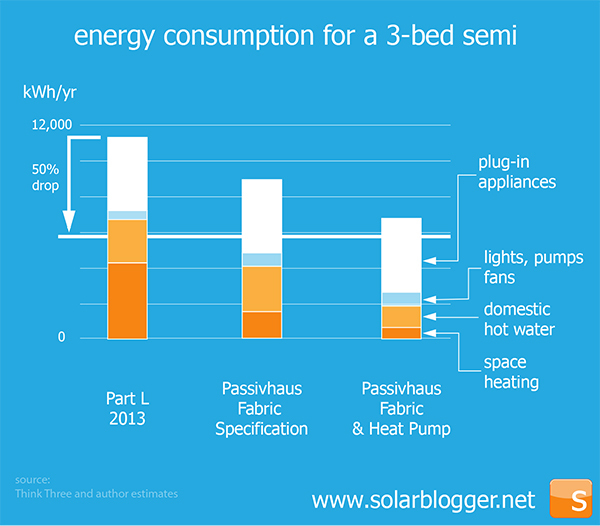 Increasing the fabric specification of the building significantly (to Passivhaus levels) greatly reduces the demand for space heating, but leaves all the other energy demands unaffected. A solar PV system of 3.9kWp (12 panels based on high performance panels available today) would be easily accommodated on a house of this size and would bridge the gap from this specification to the mission target. Improved fabric in combination with a heat pump reduces the space heating and hot water energy by the coefficient of performance of the heat pump (assumed to be 2.5 for heating and 2.0 for hot water). A solar PV system of only 1.2kWp (around 4 panels) would enable this design to meet the Mission target. Clearly designers will look for the most cost effective combinations, which as the cost of solar energy declines could involve more solar than this analysis suggests, but given the inclusion of appliance energy use, there seems to be no way to get to 50% reduction that doesn't need solar electricity generation on the building. 1. The Mission can be achieved without the development of fundamental new technological approaches. Single self-build homes and small developments of social housing are routinely being built to Passivhaus levels of fabric efficiency today. Heat pumps and solar PV are available today. The challenge is more around helping the construction industry deliver high specification fabric efficiencies at volume. 2. The inclusion of energy use by appliances means that the target simply cannot be achieved without some element of renewable electricity generation on the building. 3. The requirement for on-site renewable generation will be even more the case for buildings with form factors that give lower heat losses such as terrace homes and apartments – here there are less gains to be made by improved building fabric and more efficient heating systems. 4. Gas heating currently has Primary Energy Factor (PEF) of 1.222 whereas electricity has PEF 1.738 (SAP10 figures). Unless the PEF for grid electricity falls over the period, a move to electric heating technologies from gas heating will have smaller benefits if the metric is Primary Energy. The more renewable generation on buildings, the more contributions these can make to reducing the PEF of grid electricity. 5. In recognition of the above, forthcoming updates to building regulations should be framed in a way that encourages the use of solar PV on new buildings. Using 3.6 kwp PV, internal wall insulation and smart zoned heating thermostat we took our 1920s detached 100m2 house from 14500 kwh space heating, 2500 kwh hot water, 3200 kwh electric to 7000 kwh space heating, 2500 kwh hot water and 2400 kwh electric. During the retrofit we added a loft conversion, electric resistive heating in kitchen, a freezer and a tumble drier so those electricity figures are really impressive. As you say, solar is going to be absolutely essential. Is there scope to also reduce the energy use of the plug-in appliances through greater energy efficiency and substitution? I recently purchased a tumble dryer for the first time and I was amazed how much more efficient the best are compared with the worst, an A++ rated appliance (heat pump) uses about a third of the electricity of a B rated appliance (condensing). This is just one example and there are numerous other ways where energy demand can be reduced through differing technologies for example induction hob versus ceramic hob, fan over versus conventional oven etc. This also excludes ways in which technology is just driven to be more efficient, often through regulations for example vacuum cleaners. Realistically I can see a situation whereby it could be possible to get to the 50% reduction without using solar, albeit I think in reality solar will increasingly be used as it will be a "cheap" option. Hello, a debt of gratitude is in order for your help. As of late I have begun photography and intending to present a site on this. I am wanting to work just on wedding photography. Your tips are the superior asset for my forthcoming work. Special watchword and catchphrase rich substance both can work panseva enormously great when you are composing a post on your site. A picture is a factor however it ought to be upgraded legitimately for seo reason. I love seeing people taking home application of solar power seriously! My buddy Stan was working through the numbers of what it takes to supply a house. He shared with me this smart solar box he developed that powers his house even during outages! 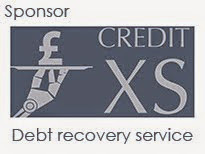 It's proven really useful so far, definitely worth a look https://bit.ly/2HIj3Ox ! All green energy is subsidized. Without the help of the state it does not work!